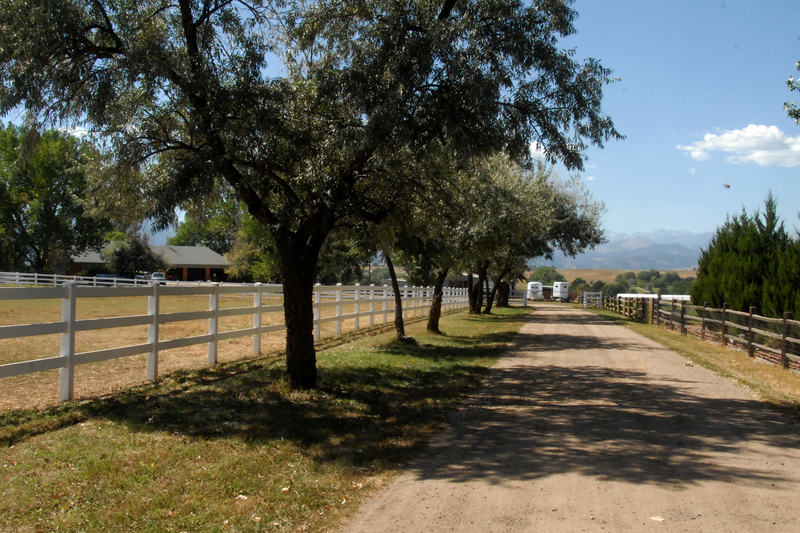 The facilities at Singletree Farm have everything you need to enjoy your horse. 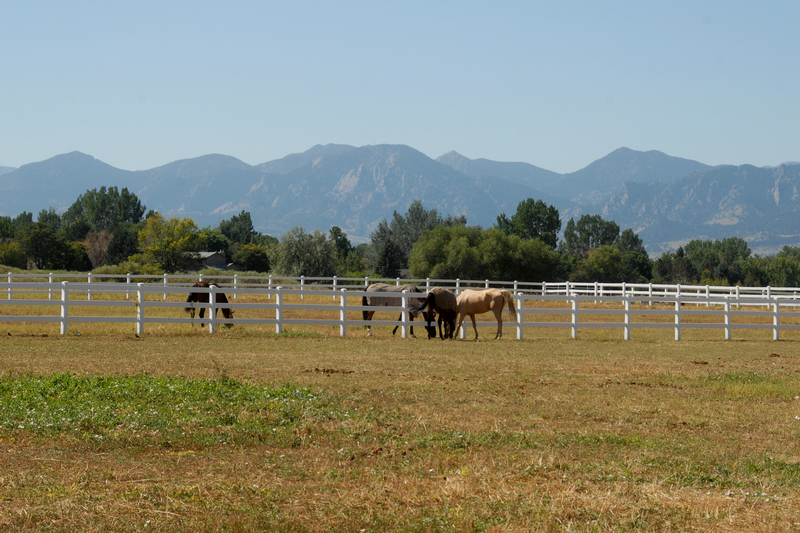 Just 10 minutes east of the city of Boulder, we are located in a majestic setting that combines spectacular Rocky Mountain views with the tranquil privacy of 31 acres of peaceful fields surrounded by expansive buffers of pristine open space. 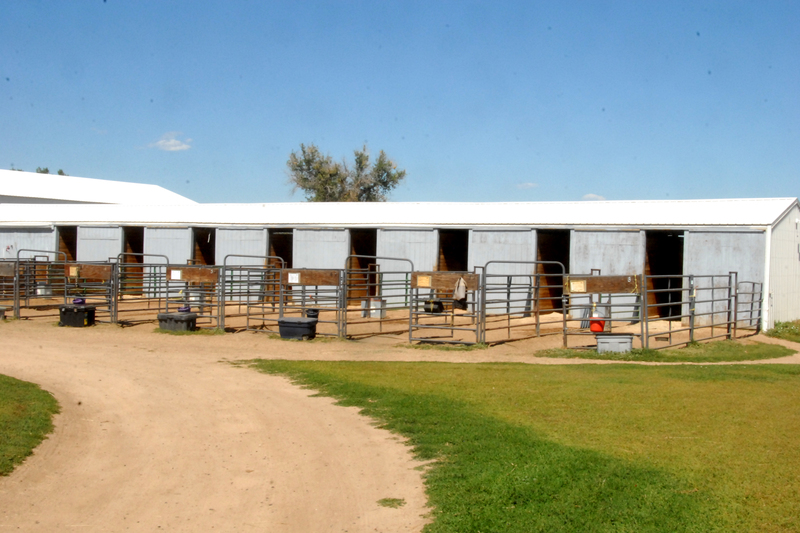 Primary stabling options include indoor stalls in the main barn and indoor/outdoor stalls with attached runs. 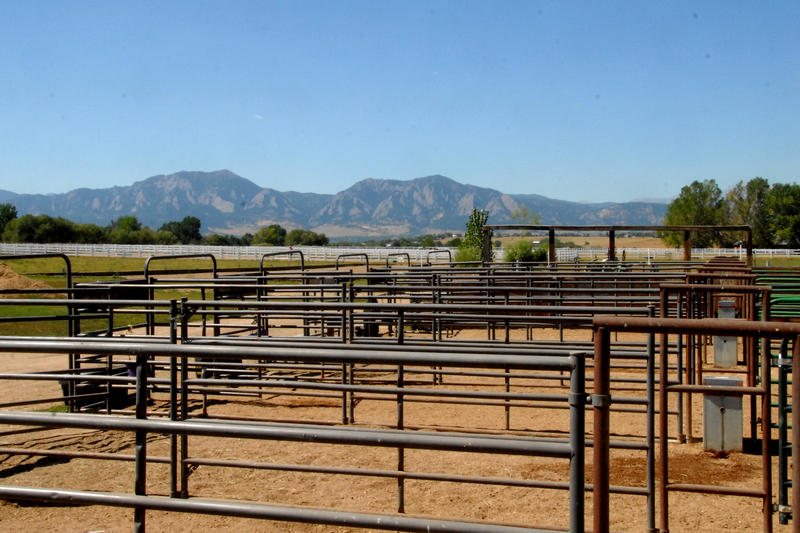 Horses are turned out to pasture or paddock on alternate days, six days a week. When riding your horse, you can choose from 2 separate outdoor arenas, a huge indoor arena or the galloping track around the hay field. All of our pastures are fenced with white vinyl fencing with automatic waterers in every pasture. The horses are turned out in small groups on pasture. Our barn help has been with us for years and takes first rate care of your eqine partner. The owners live right on the property as does our barn help. If your horse has special needs please be sure to call us. 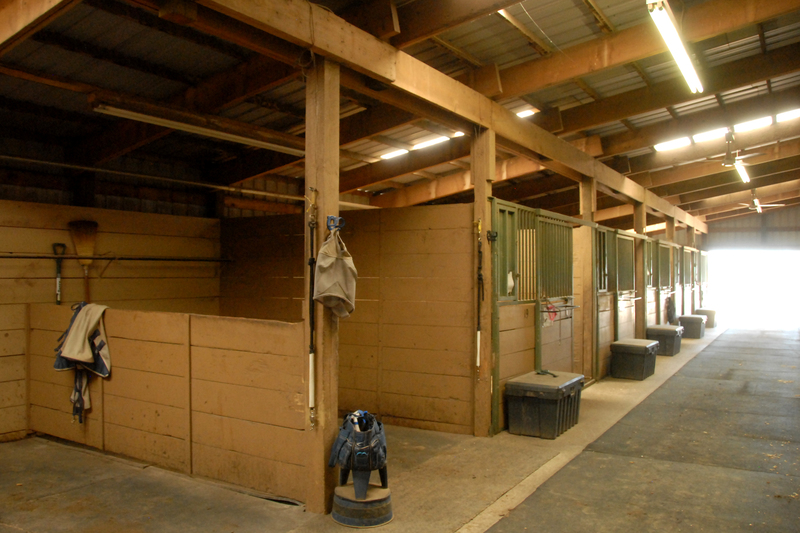 The main barn has wide, safe aisles and 12' x 12' box stalls with rubber mats. 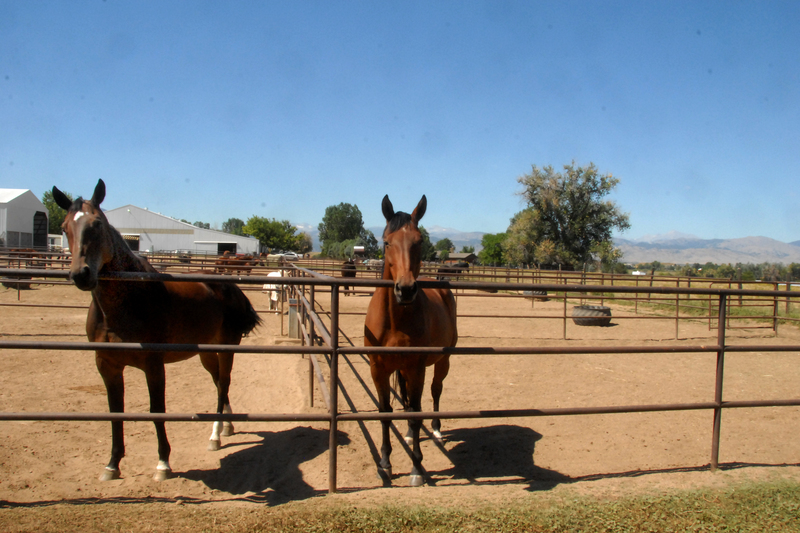 The wash rack and three grooming stalls are centrally located near the large tack room and farrier area. A series of industrial ceiling fans keep the air flowing and temperature comfortable in the summertime. 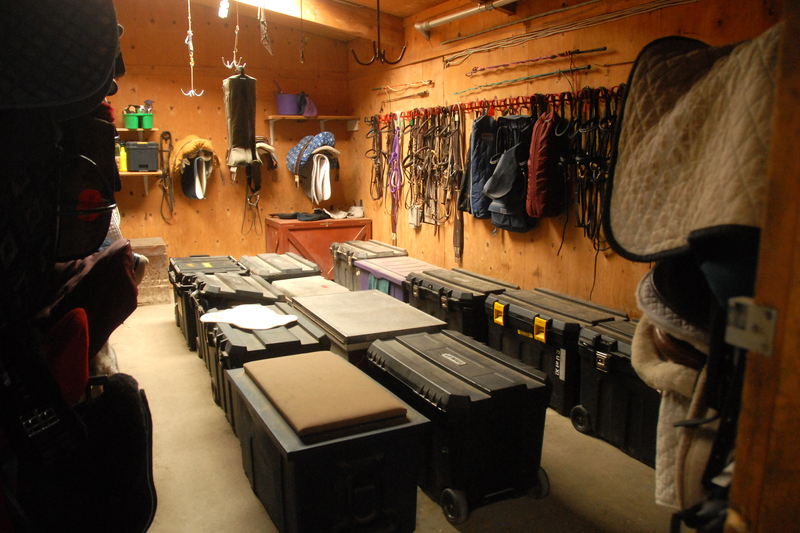 In addition to the main lighting, there are additional lights in the tack stalls, wash rack and farrier area. A small office with a washroom is available. The Main Barn has direct access to the indoor arena. 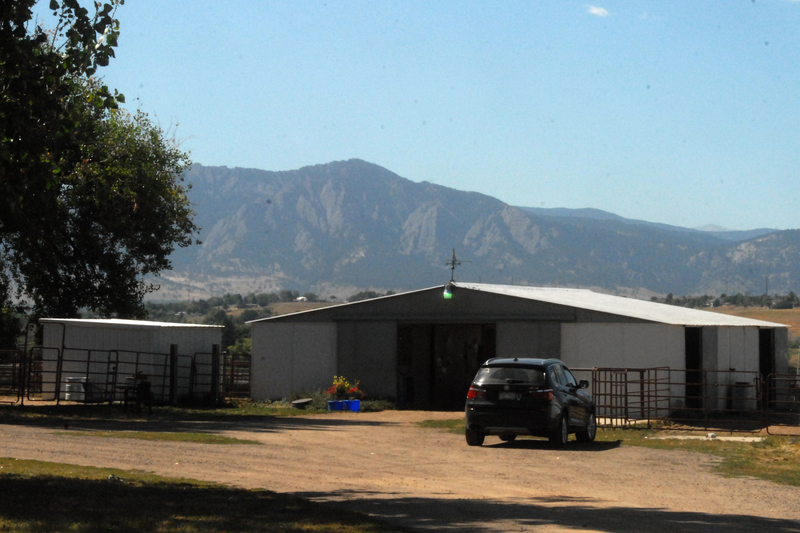 In addition to the main barn, there are a number of stabling options. The East barn features indoor/outdoor stalls with runs. Each run has an automatic waterer and a light in the stall. There is a large heated tack room with water. 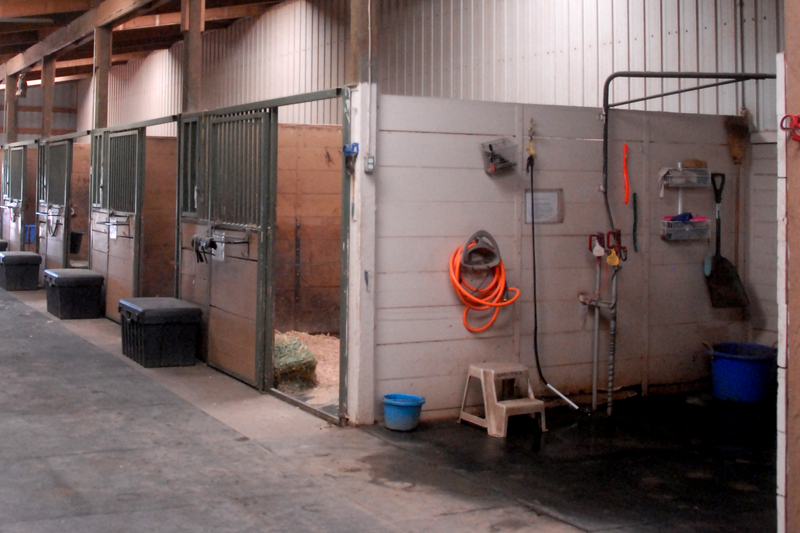 A separate grooming area, with cross ties and rubber mats as well as a wash rack with hot and cold water, is located right outside the tack room. Singletree has limited availability of stabling in the West barn next to the owners house, and a small number of shed stalls with runs. Singletree Farm has fenced pastures. The horses are turned out in small groups every other day. Pasture turnout is alternated with paddock turnout; each paddock is about 40' square. Horses can visit with their neighbor and are often found having a chat around the 'water cooler' (automatic waterer). Paddocks are cleaned daily. Of course, your horse will always be happy to see you for a bit of hand-grazing in the hay field. 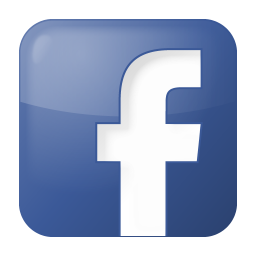 Copyright © 2015-2018 Singletree Farm and Gemstone Ventures, All Rights Reserved.